High blood pressure is not the end of the world. It is easily detected and, though not curable, it is usually controllable. Millions of women continue to lead normal lives after being diagnosed with hypertension. You can. too. These are some steps, only you can take. So don’t sit back – get involved. 1. DROP THAT LOAD If you lose excess weight you immediately ease the strain on your heart- blood pressure can fall within weeks of excess weight being shed. 2. CUT OUT SMOKING We’ve already told you what it does to your heart. 3. LIMIT ALCOHOL Since research findings indicate that drinking alcohol in excess may increase your blood pressure, if you do drink limit your intake to a maximum of two drinks a day (or, better yet, follow your doctor’s advice). 4. 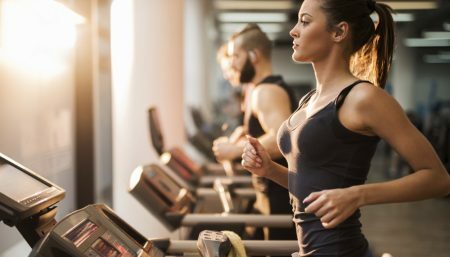 GET PHYSICAL Exercise appears to have a modest effect on hypertension, especially borderline hypertension, though it is seldom enough by itself. But check with your doctor before beginning an exercise program. Keep the intensity light to moderate. 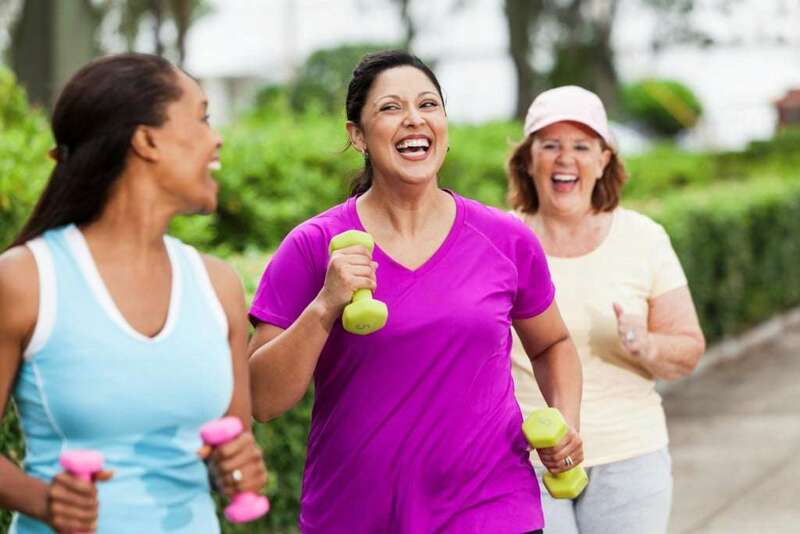 Different kinds of exercise (ranging from aerobic, such as brisk walking or cycling, to strength training with light weights) appear to be beneficial. 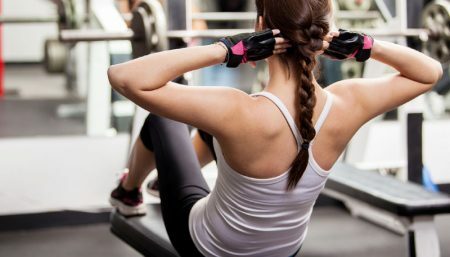 But strenuous exercise, such as isometric exercises (pushing against a wall or pressing palms together to build strength) is not advisable; studies have shown it can cause a dramatic rise in blood pressure. 5. EASE OFF Meditation has been shown in studies, and by WF members to help lower blood pressure. There are various routes to meditation. Transcendental Meditation is one of them; it involves clearing the mind of all thoughts while silently repeating a mantra. Yoga and breathing exercise have also been shown to be useful routes to relaxation. 6. GET REGULAR MEDICAL CHECK-UP Even if you take regular pressure readings at home, it’s important to also visit your doctor as a back-up. Also, you need to know what your target blood pressure is and how soon you should try to reach it. 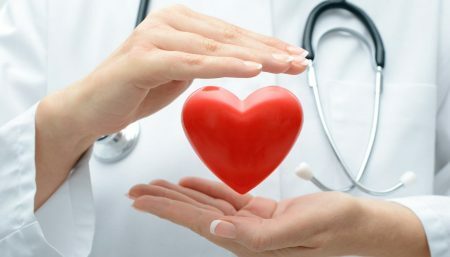 The goal of drug therapy is not necessarily to lower pressure as much as possible; in one study it was found that fewer women had heart attacks when they had a moderate-rather than a large- drug induced drop in pressure. Tell your doctor about any side-effect or other problem you may be having with the prescribed medication or with any other aspect of the therapy. If one drug or drug combination isn’t working, he may be able to prescribe another. Or you may need to do some tests. 7. CUT BACK ON SALT It is now known, that only half of all hypertensive are salt-sensitive, (that is, their blood pressure is significantly affected by their salt intake). Still, physicians advise all hypertensive, and in fact all those at risk for hypertension, to restrict salt intake. 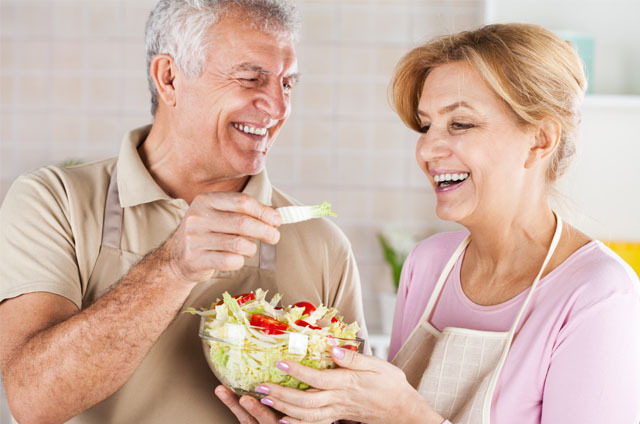 Use less- or no- salt in cooking or preparing dishes like salads, sauces and dips . Flavor up instead with a whole kitchen shelf of other options: herbs like coriander, parsley and mint, spices like pepper, cardamom, nutmeg, mustard, flavors like vinegar, lime juice and wine. Cut back on processed foods which are a prime source of sodium in our diets today; wafers, ketchup and sauces (some, like Soya sauce, more particularly), pickles, packaged soups, baked beans, cheeses, breakfast cereals, cold cuts. The list is endless. Read food labels carefully. Sodium goes under many names, ‘salt or ‘common salt’ being only one of them. If any of the following ingredients appears high up on a food label, that item is avoidably high in sodium; monosodium glutamate (or aji-on-moto, the name we more familiarly know it by), baking soda, soda bicarbonate, sodium bicarbonate. 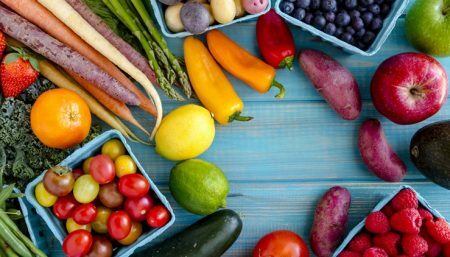 Include more fruits and vegetables in your diet. They are naturally low in sodium and have flavors of their own go compensate. Slowly does it… give yourself time to get used to a low-salt diet. In a few weeks, you’ll be pleasantly surprised to find that most foods taste better- it’s just that you’re beginning to savor their natural flavors, unquenched by the over-powering taste of salt. In fact it’s a safe bet that you’ll begin to find salty foods unpleasant to the taste! 8. GO BANANAS Four bananas a day can help to keep your heart healthy, says American cardiac specialist Milton Packer of Mount Sinai Medical School, predicting that warnings to hypertensives against potassium deficiency will soon rival those against excessive salt. Besides bananas, other good sources of potassium are beans, potatoes cooked with their skins, water melons, oranges, apricots and chicken. 9. POTASSIUM INTAKE Studies of large populations show that the lower the average intake of potassium, the higher the average blood pressure. 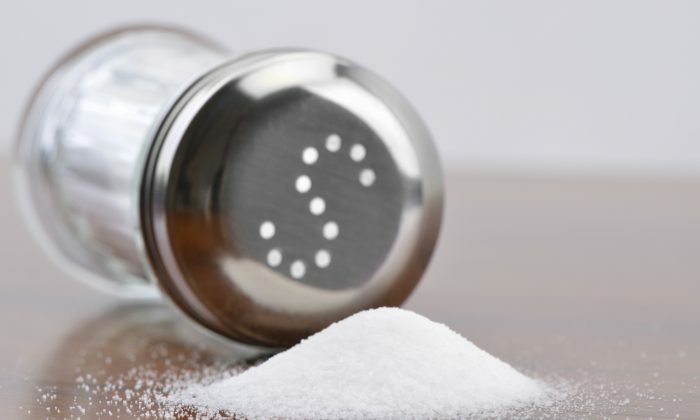 The thinking is that insufficient amounts of this mineral may promote sodium retention in the body, which can lead to hypertension in the long run. 10. TAKE YOUR MEDICATION REGULARLY Though lifestyle changes are necessary and helpful, for many hypertensives they do not go far enough. 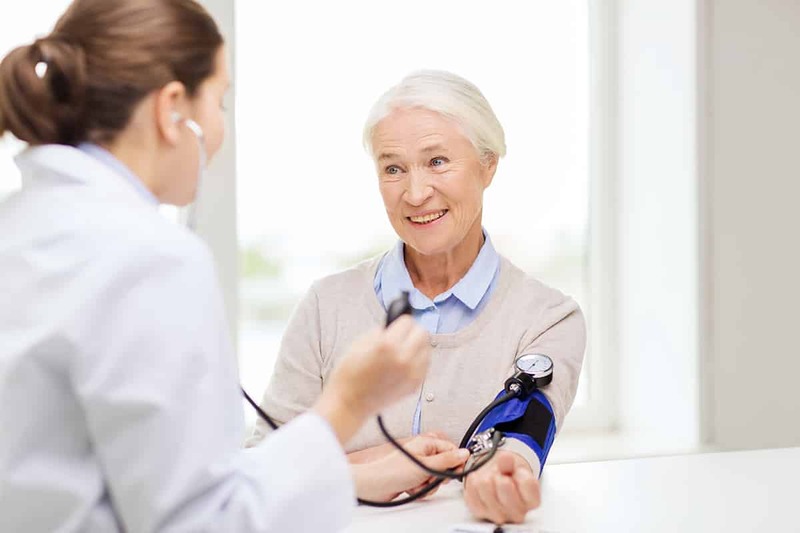 In fact, treatment for blood pressure often involves taking medication every day for the rest of your life. Sometimes several times a day. Sometime more than one drug. Studies show that even short-term bouts of hypertension can accelerate the formation of plaque in blood vessel walls. And there is enough evidence to show that medication dramatically improves survival rates for both, young and middle-aged hypertensives. That is why it’s important to take your medication exactly as your doctor’s ordered it-even if you feel perfectly fit. Some people think that once their blood pressure has come down, they can go off the drug. This is not true. In fact, you might need to continue medication for the rest of your life, though later you may be able to take less of it. Even if you’re on medication, the above lifestyle changes suggested by WF team of doctors can help the drug work better, or can help keep the dosage down.